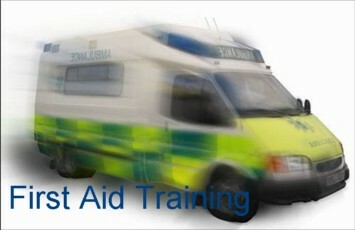 Cost effective First Aid Training on your premises. 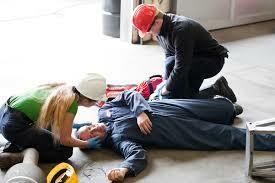 Emergency First Aid at Work courses still only £55 per person. We can provide corporate first aid courses delivered on the customers premises, negating the need for employees to be away from their place of employment for long periods and saving costs on travel. 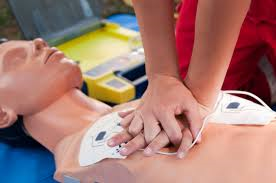 Our first aid courses are tailored to your individual needs. Some of our recent customers include schools, factories, shops and clubs. First Aid for Motorcyclists available. It is recommended by the HSE, that all first aiders carry out refresher training annually. Three hour refresher courses are available on request. Prices: Compare our prices with other providers! Discount available for courses of over ten people.. The course aims to teach candidates basic first aid skills to enable them to deal with emergency situations involving casualties tailored to their work environment. They will learn how to manage the situation, get expert help and give life saving emergency aid including CPR and use of an AED as well as how to deal with the less serious and more common daily injuries and conditions they are likely to meet in their daily working environment. Maximum number of candidates on each course: twelve. Duration: Minimum contact time six hours. Must be physically able to demonstrate the practical skills required to satisfy the on course assessment. People working in higher hazard (see below) environments responsible for less than fifty personnel. Lone workers and people working in small groups away from their normal place of work. On completion of the course candidates will receive an "Emergency First Aid at Work" certificate which will be valid for three years. 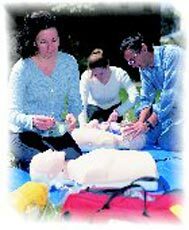 It is recommended by the HSE, that all first aiders carry out refresher training annually. The course aims to teach candidates how to manage emergency situations, get help and give life saving emergency aid until help arrives. On completion of the course, candidates will receive an Appointed Persons first aid certificate which will be valid for three years. Risk assessments should be carried out to establish the level of First Aid cover required for any specific working environment. Once the level of risk is established the following table shows the suggested numbers of First Aid personnel to be available at all times people are at work, based on assessments of risk and number of workers. extensive work with dangerous machinery or sharp instruments, construction, chemical manufacture. 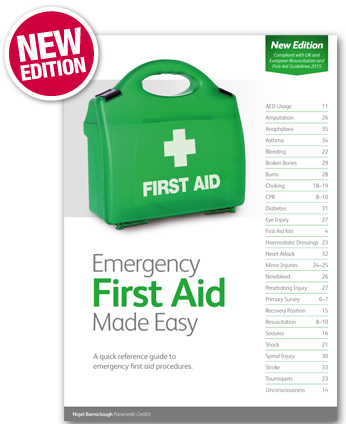 at least one first-aider trained in EFAW or FAW depending on the type of injuries that might occur. Child care up to puberty. At least one qualified paediatric first aider on site at all times. Where there are hazards for which additional first aid skills are necessary, at least one first-aider trained in the specific emergency action.